Definitely swirl ice cream. That is indeed a beautiful spot. thanks for sharing. Of course! This is so clever. Yes it does. But it will have to be double dipped in chocolate. What a beautiful garden. Well I can definitely see how you thought that! That is a beautiful garden! I wish we had access to something like that where we live. Thanks for sharing the pretty pic. I loved it dipped in chocolate. And now, it's not just you!! 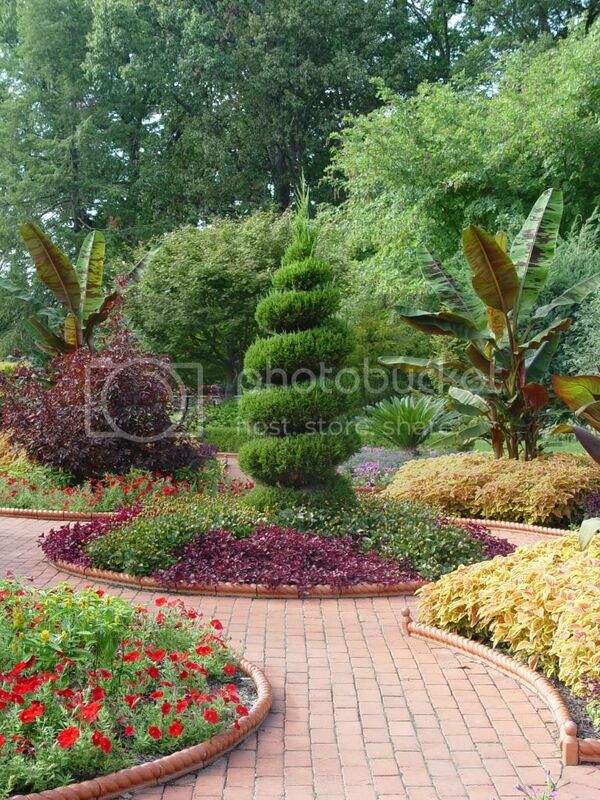 That beautiful topiary tree looks just like a DQ ice cream!!! It's awesome! Shaw Gardens look like a fabulous place to visit...it really is beautiful!!! Just wanted to say thank you for coming by and taking a peek at my Rose Faerie tablescape and leaving me such a sweet comment! Come by again...anytime! I had to laugh reading your thought on the DQ cone. Funny how different things come to mind.